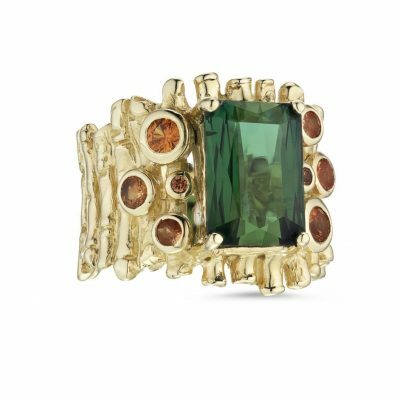 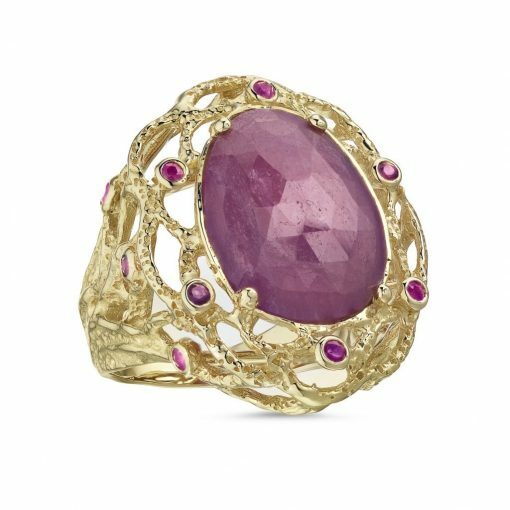 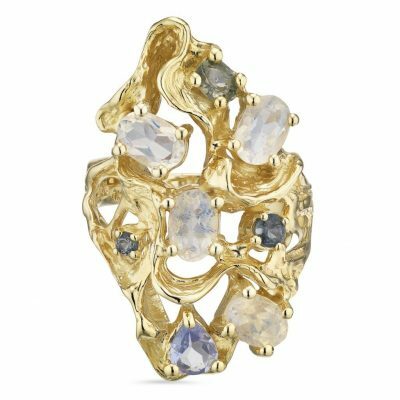 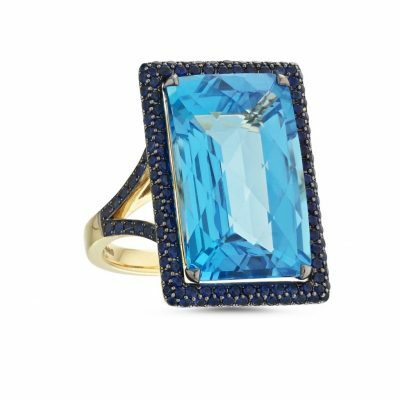 This ring has been made by hand from 14 carat yellow gold, claw set with a large ruby, and smaller sapphire gemstones. 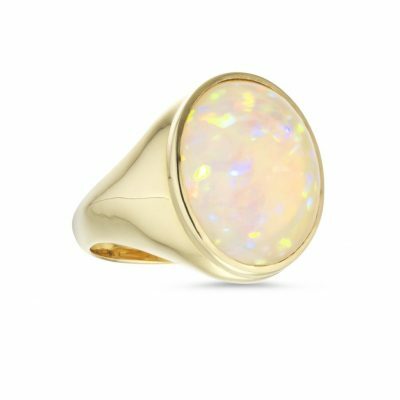 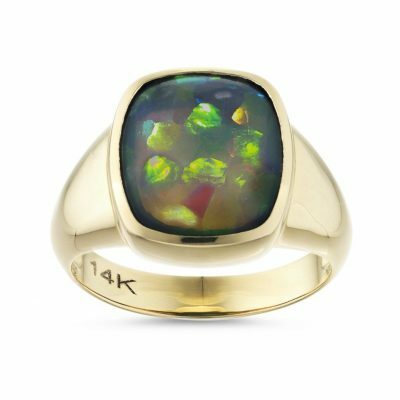 The top of the ring measures approximately 30mm long by 25mm wide. 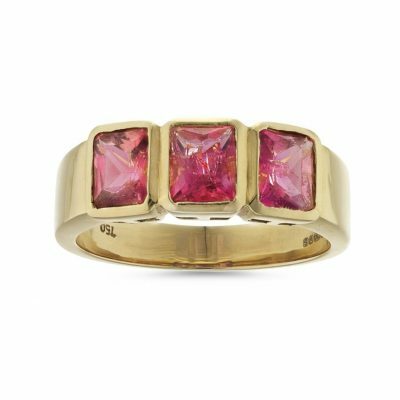 The large ruby measures 18mm by 15mm, the smaller sapphire stones measure between 2mm in size.